The state of California is intensifying its battle with agrochemical giant Monsanto. On Monday, the state Office of Environmental Health Hazard Assessment (OEHHA) announced that glyphosate, the main ingredient in Monsanto’s herbicide Roundup, will be added next month to the list of chemicals known by California to cause cancer. Monsanto, which is being taken over by agrochemical giant Bayer, has sued OEHHA over the matter. A trial court ruled against Monsanto earlier this year, allowing OEHHA to move forward with adding glyphosate to the state list. 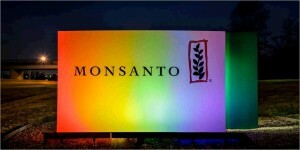 Monsanto, however, is vowing to continue fighting in court. Under Proposition 65, a voter initiative passed in 1986, California maintains a list of chemicals known to cause cancer or reproductive toxicity. Placement on the list does not regulate how a chemical is used, but it requires that products containing the chemical be sold with warning labels. Glyphosate and Roundup have been the subject of decades of debate and protests. In 2015, the International Agency for Research on Cancer (IARC), an organ of the World Health Organization, classified glyphosate as probably carcinogenic. Several countries have banned or restricted the private and/or commercial sale of Roundup. In the United States, several lawsuits have been filed over alleged harm caused by Roundup. One of the lawsuits was filed last year by a Cambria woman who alleged Roundup killed her husband. Cambria farmer Jack McCall died of Non-Hodgkin lymphoma, a rare and aggressive form of cancer, in late 2015. McCall reportedly used Roundup on his farm everyday for nearly 30 years. The family’s dog, which spent his life roaming the farm, also died of lymphoma, according to a federal lawsuit filed by McCall’s wife, Terri McCall. Monsanto said in a statement released Tuesday that claims of glyphosate being carcinogenic are without merit. In the Midwest states where people farm and get their water out of their wells, the incidence of cancer because Roundup is moving through the soil into the wells.